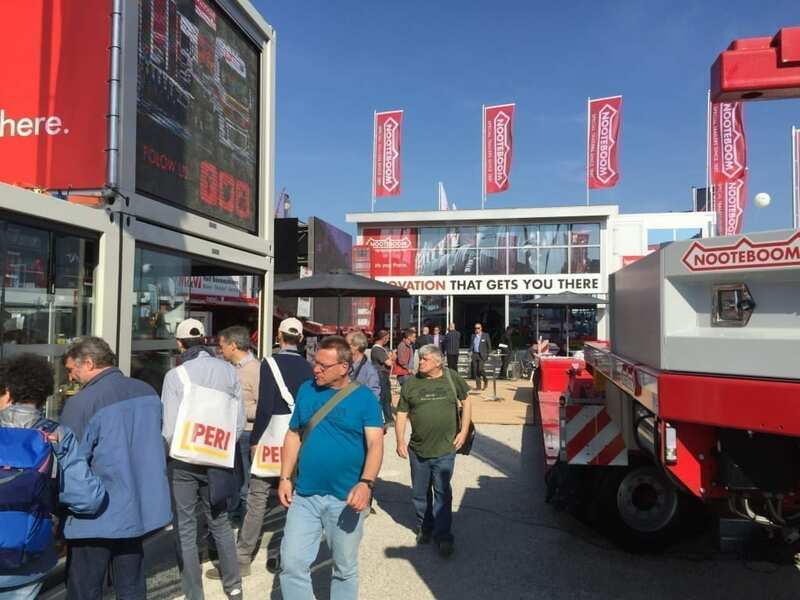 With just over 1500 exhibitors and 180,000 visitors from more than 160 countries the Intermat is one of the major international trade shows for construction and infrastructure. So Nooteboom always considers it important to be present at this exhibition with a display of our latest developments in abnormal transport for the construction industry. The intermat will be held from 23 to 28 April at the Paris-Nord Villepinte exhibition centre. The exhibition will be open every day from 9.00 to 18.00 hrs. – Latest Manoovr with excavator trough and new special 80-tonne ramps. For all those who are interested in the exclusive Nooteboom scale models or any of our other merchandise items, the Nooteboom Shop at our stand will be open. An extensive collection of 1:50 scale models from limited editions and the Nooteboom Redline series will be available.